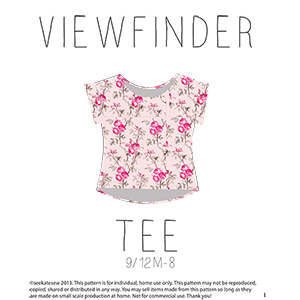 The VIEWFINDER knit tee is a feminine fitted tee with cute bands at the sleeve. This banded sleeve tee will quickly become your child's favorite to wear and your favorite to sew. The viewfinder tee is simple with a fitted body and slight hi-low hem. This is a great shirt to customize or print on. 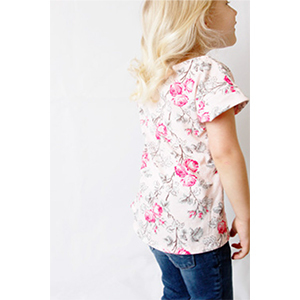 Pattern has 8 sizes included: 18M, 2T, 3T, 4T, 5, 6, 7, 8 and is suitable for beginners. 20 page pdf file with pattern pieces and professional step-by-step illustrated instructions.